Simple animations to provide a sense of place/navigation are what makes an application shine. They attract the attention of the user to the ongoing operation within the application while providing a sense of continuity, in that sense they are not "fluff" and should be taken very seriously. And now we need to go back to the GUI builder to place the image on the map, don't worry about the location we will get to that soon enough. 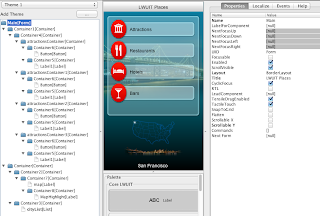 I select the Map Label entry and change its name to Map (to make it easier to work with it in code), I also change the name of the List at the bottom to cityList. Now its FINALLY time to start writing some code... Click the menu Application->Generate Netbeans Project. 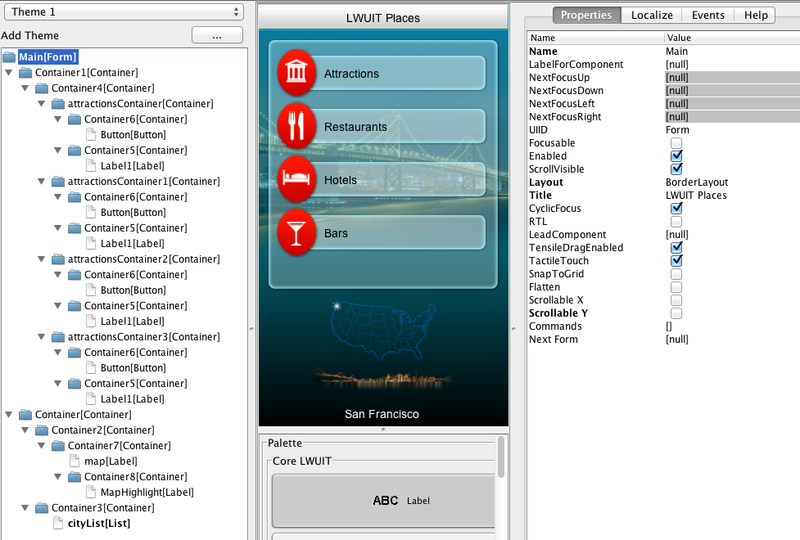 Type the name "LWUITPlaces" and select a directory into which the project should be generated. Important: you do this only ONCE after that saving the file will automatically update the generated code for you. Also important: If you saved the file in the past the old location is no longer relevant! The resource file will now be within the src directory of the generated project and can't be moved from that location. Some of these things might seem obvious but others might not. When we animate to a particular list offset we need to know the pixel coordinate of the city within the Map. This worked great in Martin & Chen's demo since they used a regular image as the map. 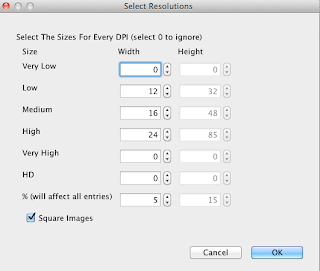 The problem is that a regular sized image would not work for lower/higher resolution devices which is why I used a multi-image. Once I used a multi-image the resolution of the image (hence the coordinates) would change depending on the device, so all the old city coordinates from Martin will no longr work (these are the MAP_POINTS coordinates). 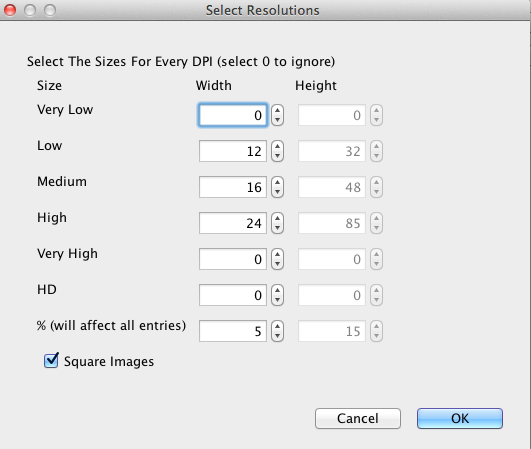 The trick is simple, I ask the size of the map image in runtime and store it within the mapActualWidth/Height variables. Then I calculate the position in map offsets using a simple ratio equasion in the mapXCoordinate/mapYCoordinate methods. Hi. I tried to follow the example but all the buttons on the event tab seem to be disabled. Is there a known issue with the webstart version? Best regards and keep the great job. After you generate the netbeans project they become enabled. From this point on you need to start working with the resource file that is within the generated project. Thanks. I'll see how that goes.